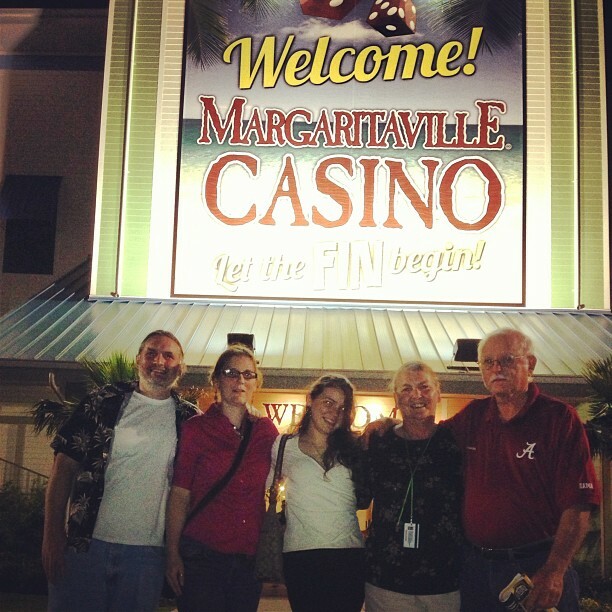 This year for Dad’s Birthday/ Fathers day the family went to Margaritaville in Biloxi. Dad enjoyed the all you can eat crab and we had a chance to check out Jimmy Buffet’s new casino. The atmosphere of the casino was fun and laid back and we even had a chance to catch a Jimmy Buffet cover band while were there. This was Leanne’s first time playing on a slot machine.